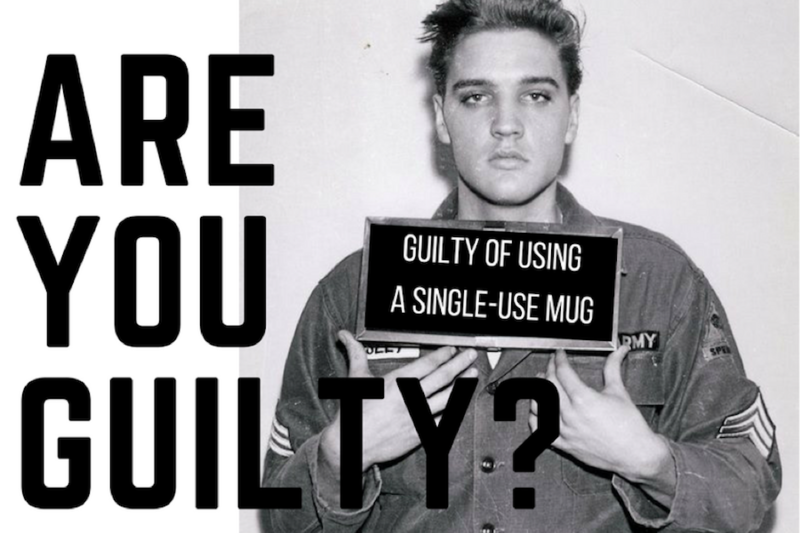 A video promoting the use of reusable cups. 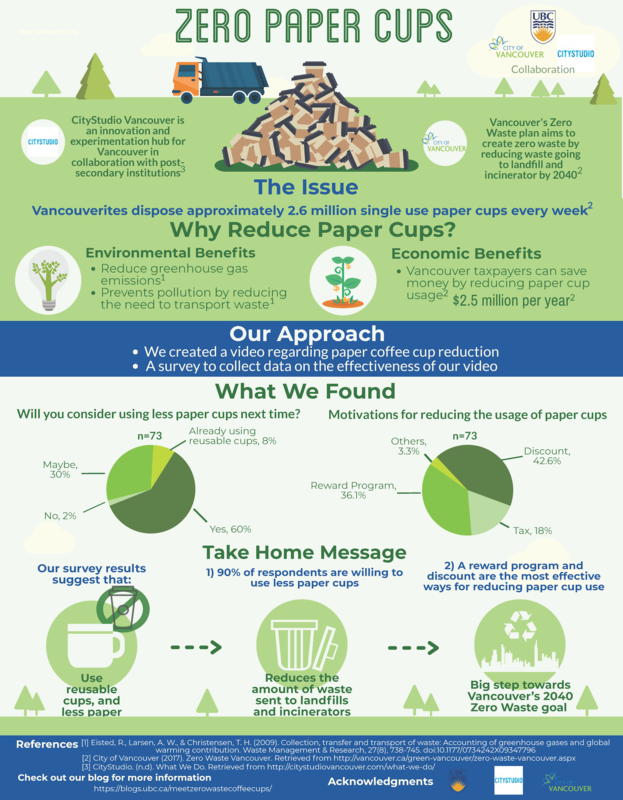 Did you know that 2.6 million paper cups are thrown away in Vancouver every week? 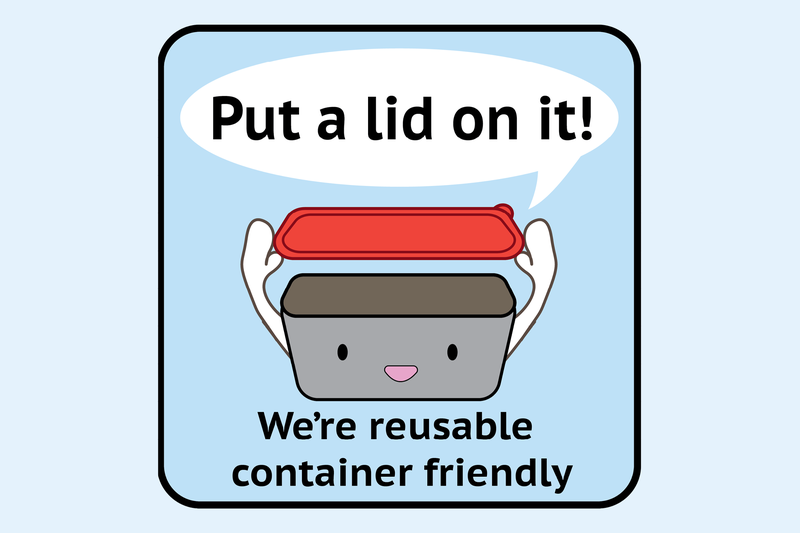 This means each person uses around 200 paper cups every year. While some may think that this is not an important problem because we are already using recyclable cups, it is indeed a huge problem in the long run. When these paper cups go to the landfill or recycling station, they pile up which produce a favorable condition for bacteria to grow. These bacteria have the potential to produce methane, which is a greenhouse gas. In addition, during the process of transporting these cups to retailers, the landfill and recycling station also contributes to greenhouse gas emissions. Vancouver taxpayers spend $2.5 million dollars for garbage collection and recycling. 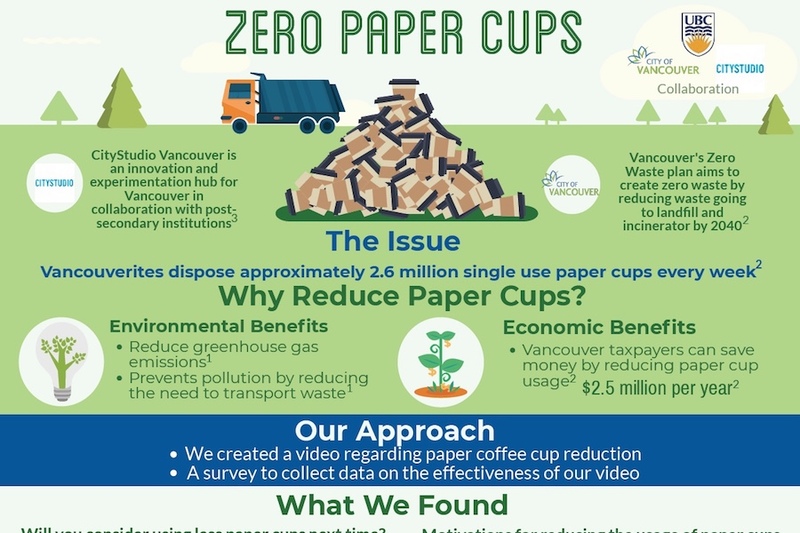 Our group created a video promoting the usage of reusable cups in place of single use paper cups. The video was posted on Facebook and YouTube. To measure the effectiveness of our video, a survey was created which had 73 participants. We found that 90% of the participants are willing to use less paper cups after watching our video. Additionally, a discount and rewards program motivated 42% and 36% of the participants to use less paper cups, respectively. © 2019 CityStudio Vancouver Society All rights reserved. Registered charity: 70832 8497 RR0001. Design by Yardstick Services.